airBaltic announces that as of summer season of 2019 it will base two of its new Airbus A220-300 aircraft in Tallinn, in order to serve the growing range of destinations offered to Estonian passengers. In total, airBaltic will have three aircraft based in Tallinn next year. 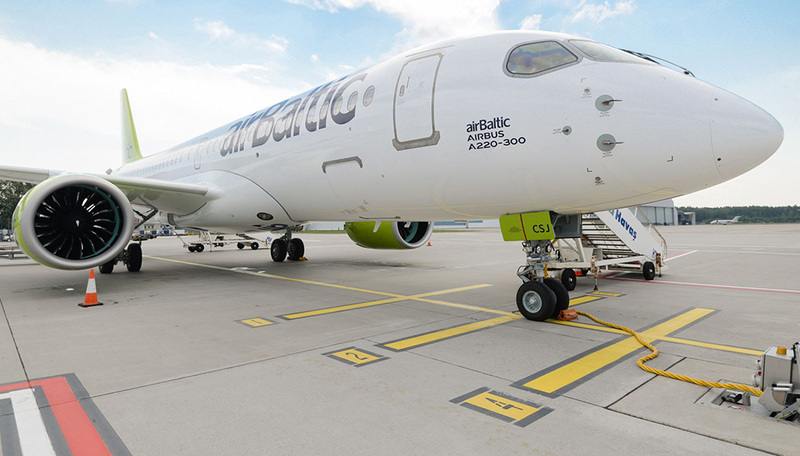 This year airBaltic expects to transport around 400 000 passengers to and from Estonia. This making Tallinn the second biggest market after Riga. From Tallinn, airBaltic offers direct flights to Amsterdam, Berlin, London, Oslo, Paris, Stockholm, Vienna and Vilnius as well as convenient connections via Riga. airBaltic will launch new direct services from Tallinn to Malaga, Brussels and Copenhagen in 2019.
airBaltic serves over 70 destinations from Riga, Tallinn and Vilnius, offering the largest variety of destinations and convenient connections via Riga to its network spanning Europe, Scandinavia, the CIS and the Middle East. For summer 2019, airBaltic will launch a new direct routes from Riga to Stuttgart and Lviv.